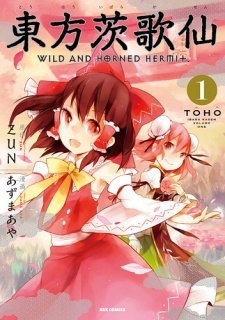 Continuing in the Touhou series, this one follows the footsteps of Silent Sinner in Blue, Inaba of the Moon & Inaba of the Earth, and the Sangetsusei trilogy. This time, Marisa comes across a mysterious hermit outside the Human Village. However, as she tells Reimu about her, the hermit is seen sneaking around the Hakurei Shrine. She's Ibara Kasen, a strange, bandaged ascetic of unknown nature and ability who's far more aware of them and Gensoukyou than either realizes.